Zaiko from Dragon Ball AF…! chevron_right Zaiko from Dragon Ball AF…! 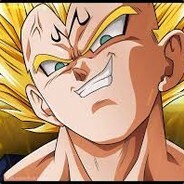 The bad guy of Toyble's AF... over Ultimate Gohan. 2. Open the file REDGame.uexp with 010 Editor. 3. Change the mode to "Edit as : Unicode"
5. The final step is just re-pack & test in-game. Have fun.